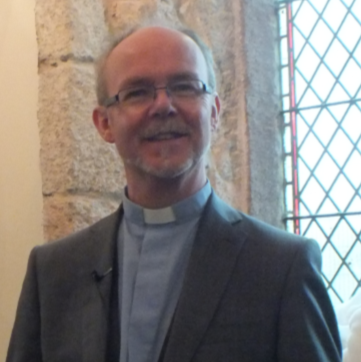 Geoffrey Bennett is our Vicar who is married to Jacqui. They have 2 grown up children and 5 wonderful grandchildren. In his spare time Geoff enjoys woodturning, playing guitar and watching football, he can often be found in church playing his guitar. Geoff began his working life in Devonport Dockyard as a Fitter & Turner but then realised his call to the ministry. He trained at Oak Hill Theological College and served his curacy at St Matthews Church in Ipswich. In 1992 they moved to the Lizard and are very happy to have been at St Budock Parish Church since 1998.